As Simple as Sticky Notes. But Quick & Efficient. Notes have become an inevitable part of a present-day person’s life. If some time ago one could only rely on his or her own memory, with time, paper notebooks and stickies came into existence. Nowadays, people are increasingly taking notes on their devices (smartphones, tablets, computers), hence a good handy app for note-taking is a must-have. Can you say that you are able to take a quick note right at the moment it occurs in your mind? When you’re at your Mac, in the middle of a working process, many windows opened. If your answer is not a strong and confident YES, you might want to do something about it. 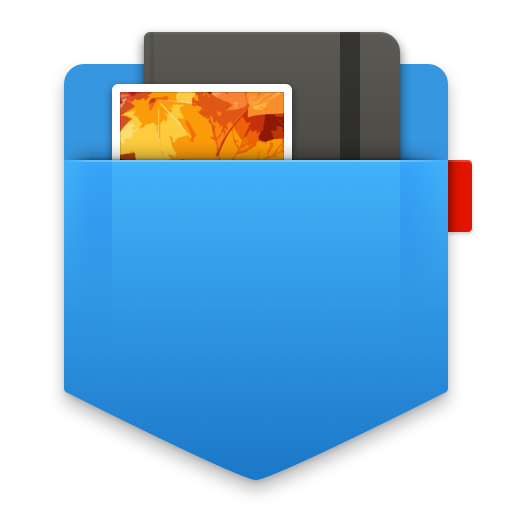 Unclutter Notes is a light & simple notes app for Mac. Actually, it’s just 1 of 3 tools which make up a neat productivity app called Unclutter. Like the other two, Unclutter Notes is plain, fast and comfortable to use. Its minimalistic design and intuitive interface are ideal for those who simply want to take notes effectively. Here how your Notes panel looks like. Right after Unclutter window opening, you can see a few latest notes. Or it may be a blank space with the blinking cursor ready for your input – depending on where you stopped previously. There are 3 icons on the top right corner: add a new note, change a view mode (single note or their list) and a search icon. Everything seems to be clear. In theory, how are you supposed to make a note on Mac? You open Launchpad or Applications, find Notes or Stickies (or what else you prefer to use), launch the app, write down and save your note. Okay, you may have a shortcut of your note-taking app somewhere close at hand… But still – you will need to spend some time waiting for this app to launch, finding a place for a new note + other unnecessary actions. And you may already lose your focus on a task you were working on. Not good. Let’s see how we can improve that. We believe that your Mac notes tool must be near at hand. Like one gesture away. That’s what we believe makes Unclutter Notes the fastest notebook app for Mac (let us know if you find a faster one 😉). before you even find and open your Mac Notes or any other notepad app. The other cool thing about Unclutter Notes is that you can jot down a note without getting distracted from your normal workflow. Especially relevant when it needs to be done ultrafast, like during a phone call or a rapid business guru speech. No need to think about where and how to note it down. You just instantly do it. And you’re back to your main task, right away. Focus kept, time saved, productivity boosted. Create as many notes as needed. Pile up numerous chunks of info and sort them out later. Lifehack: Go even further by copying text from tables, graphs, etc. into Unclutter Notes to get rid of any formatting and extract pure plain text. Daily tasks, phone numbers, addresses, recipes, blog post ideas… Write down whatever you need – be it an instant note you drop not to forget something important or a recipe for a cool dish you promised yourself to cook one day. Quick full-text search in your notes is to help you instantly find the one you need at the moment. It is easy to find any note with a keyword – the matching items will appear directly as you type. The search goes through your entire collection. Whatever you do on your Mac, Unclutter Notes is always there hidden above your Desktop, ready for you to slide it down and use a note of your choice when necessary. 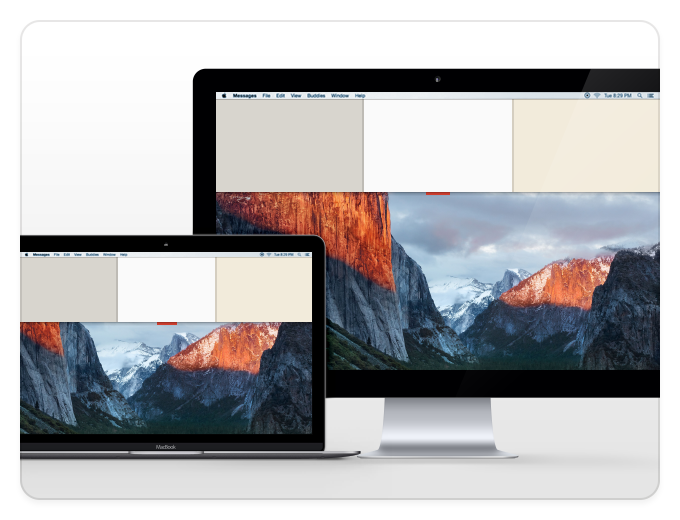 Besides, you can have Unclutter in full screen, on all of your Macs’ Desktops and on all connected displays, if there are any. 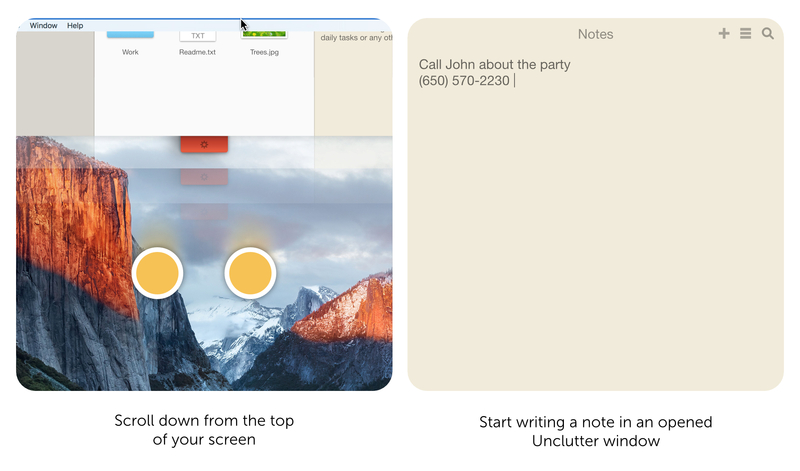 It’s also possible to take the Notes panel outside the Unclutter window and stick it anywhere on top of other windows. When you close it, the panel will return back to its usual place. This function may be of good use when you need your notes to be at hand and visible for some longer period of time. Usually when your work requires a lot of interaction with the note. 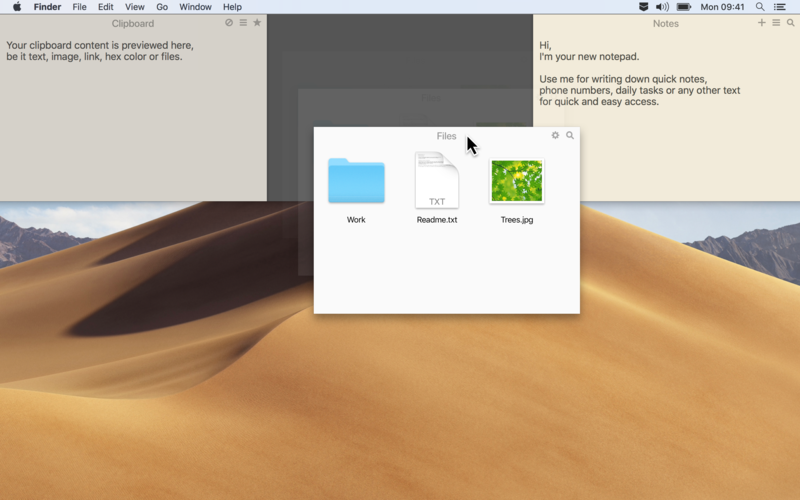 This is much like sticky notes for your Mac Desktop. Nice and neat. 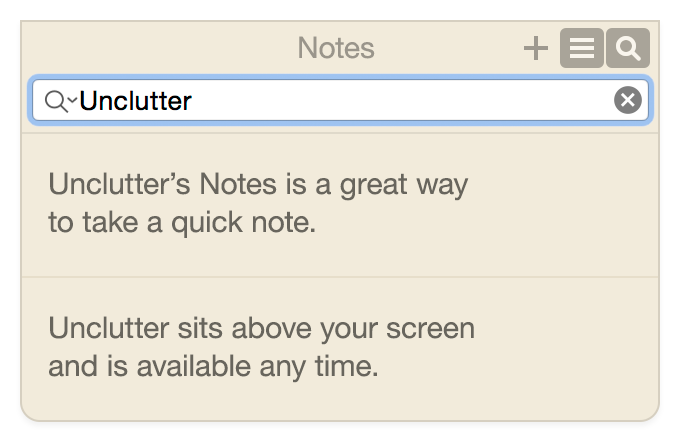 Needless to say, Unclutter Notes has an “auto-sync across all your Macs” feature. 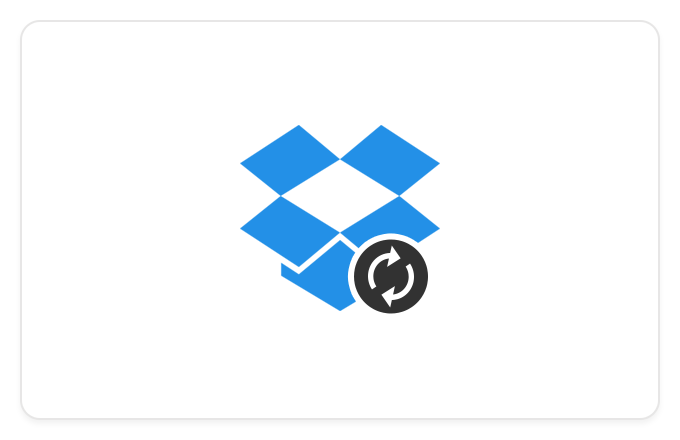 You can set your own location for storing the Unclutter’s notes inside your iCloud Drive or Dropbox folder. This way the notes will automatically sync between your devices to make your workflow truly seamless. By now, you might think it’s all Unclutter has for you. Not at all. As already mentioned, Unclutter is a 3-in-1 productivity app, and the Notes panel is just one tool in the set. It means you get three productivity tools for the price of one. And they are neatly combined in a simple and tidy interface that is quick and easy to use. So – note taking on Mac CAN be dead simple, convenient and incredibly fast. Unclutter Notes has no limits in capacity and usability performing its functions just great. Have your data organized in a way you find the best to stay focused and productive. The fact remains that Unclutter Notes is the perfect way to note something down really quickly. All you need is just one swipe from the top of the screen to start typing. Thus, our notes app definitely can be considered as one of the simplest and quickest note-taking tools for Mac out there.